The 9th grade science curriculum was Human Physiology at the Academy of the Holy Cross in Kensington, Maryland. We learned about the major systems of the body, such as the cardiovascular, muscular, and nervous systems and I was fascinated. Exercise, however, was not exactly in vogue when I was in high school. Some kids played sports, but that was different. Exercise just for the sake of exercising? No one did it. We'd all watch curiously out of the class windows and see Mrs. Young, our Physiology teacher, running. We'd shake our heads and go back to our Doritos! In my freshman year of college, I knew I wanted to study the human body in some way and declared Biology as my major. I also ate plenty of pizza at midnight that year and came home 15 pounds heavier than I started. 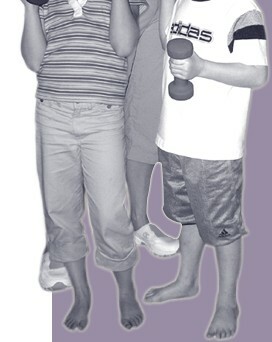 In my sophomore year, I registered for an aerobics class, in the hopes of shedding some weight! I figured that if I had to go to the class, I would exercise. That class turned my life around. First of all, I did lose weight, and that was exciting enough. But the format of the class re-ignited my interest in Physiology from the 9th grade. Our instructor spent the first half of class lecturing on the physiological principles of fitness before we actually worked out. It took no time at all for me to realize that this was exactly what I wanted to do, and it was exciting to find out that it was indeed a major, "Kinesiological Sciences" (which means the science of movement). Most universities now call this major "Exercise Science". As for the aerobics, by the end of the semester I could have done my instructor's routine in my sleep and it looked like fun. I called around to local health clubs and got my first job as an aerobics instructor. Of course, once I got my feet wet, I realized I needed to join a professional organization, get certified, read the journal articles, etc. And so it began. While still an undergrad, I began working at Marriott International Headquarters part time in the Corporate Fitness Facility. 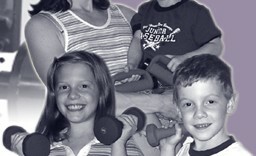 I showed people how to use the weights and taught aerobics classes. After graduation, I came on full-time and started coordinating programs for the Fitness Facility and training new aerobic instructors. I wanted a higher level of distinction and knowledge and started toward my Masters Degree in Exercise Physiology right after undergrad. As a graduate assistant at the University of Maryland, I taught the same for-credit aerobics course that got me interested in the field to begin with! In 1991, I became part of the development team for Wellness & You!, a new comprehensive health promotion program for Marriott's corporate headquarters personnel. My graduate courses had focused on wellness topics such as cholesterol, blood pressure, and stress, just as much as fitness, and I was ready to broaden my focus. When they created a full-time position to manage the Wellness & You! Program in 1993, I was fortunate to be able to transition into that position. I stayed with the Wellness & You! Program for the next 8 years, and gradually also built my own business, Fitness InSight. I knew that someday, I'd want to make the shift to doing what I love on my own, around my family's schedule. My initial focus for Fitness InSight was short-term personal training - helping people start and maintain home exercise programs. My specialty was, and still is, helping clients put together a realistic plan that will work in their busy lives and find the part within them that will keep it going! After the birth of my third child in 2001, I officially escaped corporate America to spend more time with my family and focus on my home business. I am now thrilled to be exclusively providing fitness and wellness services to individuals and corporations on my own. As my business evolved, I found that many clients desired a longer-term relationship and that the continuity combined with a strong framework of support helped them achieve goals they never thought possible. 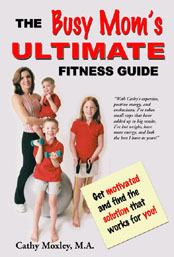 This experience compelled me to add Fitness and Wellness Coaching to my business in 2004. It is a blessing to love what you do! I live with my three children, Jenna, Jeff, and Matthew in Germantown, MD. When I am not helping clients, you?ll likely find me shuttling kids to soccer and swimming, helping with homework, or out for a long walk with a friend. Life is good!